Today, there are two main types of forehands the neutral stance forehand which is traditional and the open stance forehand which is more modern. 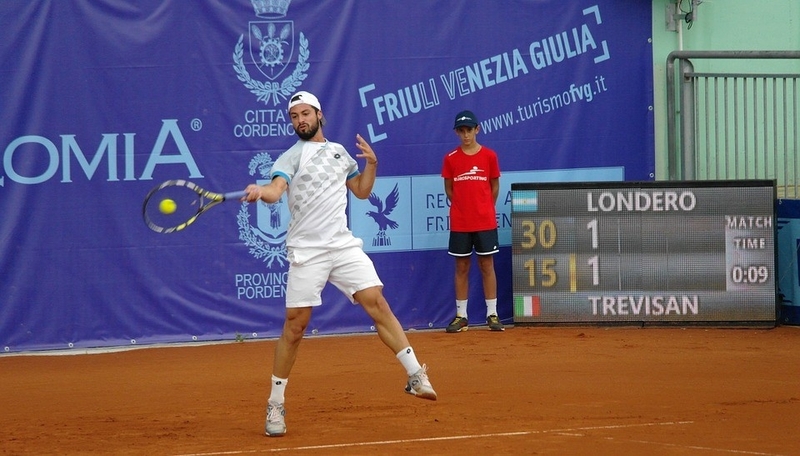 Both types of forehands are utilized amongst the professional players today and both can be effective at all levels of play. Which Forehand Stance is Best? 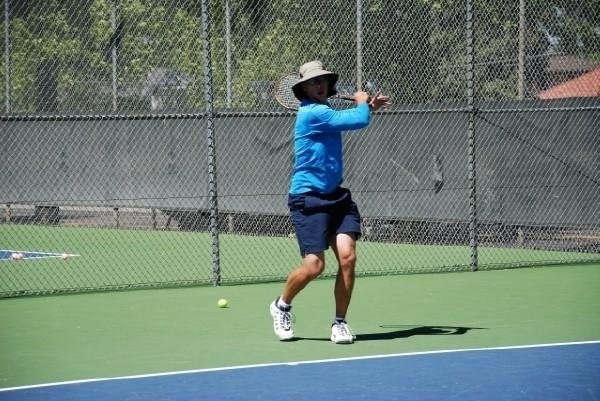 Tennis teaching professionals often differ in opinion between which stroke is best suited for their students and often coach their students the way that they play. Which makes sense because if you know a better way to do something wouldn’t you do it? Some coaches argue that the neutral stance forehand provides more power, is easier to pick up low balls, better for taking balls on the rise, and is less complex for players to learn. Other coaches argue that the open stance forehand allows for greater power, greater spin, and allows for players to recover back into the court more efficiently. Also, there are coaches that believe tennis players should utilize both strokes based on the ball received and based on the player’s court position. I agree with the latter option and with both stances being presented, along with recommendations for when to use each stance you can choose what will work best for you. So, what types of situations should I use a neutral stance forehand vs. an open stance forehand? I recommend that the neutral stance be used when receiving a ball that is around the middle of the court or when moving forward. By utilizing the neutral stance forehand for balls that are generally hit close to you on the baseline you as a player should be able to set your feet perpendicular to the net, remember this is different than stepping across your body which is only done out of necessity, and move forward and take the ball early more effectively. Also, when you receive a short ball or approach shot I recommend the neutral stance forehand. When moving forward your momentum is already moving linear and the load or set up will take less time than the open stance forehand, allowing you to take the ball earlier which takes time away from your opponent as well. The vast majority of professional tennis players today are utilizing the open stance forehand when pulled off the court or on the run. This is because the open stance forehand allows a player to generate fluid powerful strokes when on the run and the ability to recover back to the center of the court more effectively than the neutral stance forehand. Often times when on the run players who hit neutral stance are not able to set their feet perpendicular to the baseline and as a result their shoulders and hips do not rotate through all the way limiting the power of the stroke as well as affecting their ability to recover back to the center of the court effectively. There are three different forehand grips to choose from, the eastern grip which is generally considered the easiest grip for learning the forehand, the semi-western grip, and the western grip. The majority of the professional tennis players utilize a semi-western grip. The semi-western grip allows players to generate power and topspin efficiently and also is the most well rounded of the three grips in terms of being able to pick up low balls and high balls. An easy way to grip the racquet with a semi-western is to lay the racquet on a table or the ground and place your palm face down onto the grip of the racquet. For more information on finding the different grips click on the link. Remember, when selecting a grip there is some wiggle room. For example, my forehand grip is in between an eastern and semi-western grip. Your hand may naturally find itself in between two of the formal grips which is okay. The footwork is the foundation of solid preparation and this is true on the neutral stance forehand. Before the ball reaches your opponents racquet you will want to try and time your split step so that your feet hit the ground at the exact moment you realize the direction your opponent’s shot is traveling. Once you recognize the ball is going toward your forehand you want to begin rotating your shoulders and hips as you are reacting toward the ball, this will allow for your racquet to naturally begin to be taken back. Now that you have reacted to the ball and you are running you want to focus on ensuring you have enough distance between you and the ball. Ideally, the ball is going to rise or drop to your comfort zone, around waist high generally, before you set your feet. In order to set up properly for the neutral stance forehand you will take as many adjustment steps as necessary before setting your feet. Now that you have established the proper distance between you and the ball and you have the ball around waist high you want to set your feet properly for the neutral stance forehand. Place your right foot (if your right handed and vice versa if left handed) parallel in relation to the baseline and load your body weight onto your right foot. At this point your shoulders and hips should be turned and your opponent will be able to see your left shoulder blade and your left hip. The next step is to transition your weight forward toward the net by taking your last step forward into the ball with your left leg. On the neutral stance forehand the player’s feet rest somewhat parallel to the baseline or the net, which allows for the player to open up, or unload, their hips and shoulders into the ball. The goal of the preparation phase and the swing is to ensure your body weight transfers into the ball and that you make solid contact with the ball. The contact point for the neutral stance forehand is slightly out in front of your left hip if you are right handed. The ball should feel light and travel toward your target when done correctly. In the next post the open stance forehand groundstroke will be covered. Please share with us. What types of shots have you found are hit more effectively with the neutral stance forehand groundstroke when you play?